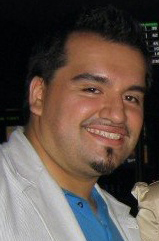 Ayala was co-founder of the Whitney Young Pride GSA, the first in the Chicago area, and active at DePaul University as well as with various youth causes in Chicagoland. He was a co-founder of Student Pride USA, the networking alliance of all gay-straight alliance clubs in America (currently run by GLSEN). Ayala is now communications director for the Congressional Hispanic Caucus. He is an active player and a strong progressive voice in mainstream political campaigns.